Momma Told Me: *See: Bean Bags are for Time Travelers. As a child, there are few things more exciting than 'fun furniture.' As a parent, one would lump inflatable couches, bean bag chairs, video game rockers, and see saws into this category. Things designed especially for youngsters, but with some very clear design flaws. That is, these things will delight children and adults of all ages, but fail to withstand the test of time. I've often wondered, myself, if there is a world record for longest period a bean bag chair has remained in tact upon deliverance to a 10 year old. And we can't put ALL the blame on the kids- how many times has a bewildered wife followed a trail of misplaced legos into the rec room to find Pop passed out on an abstract arrangement of play furniture? There's a reason air, water, and bean furniture exists; because it's comfortable. It's more than novel to sit on a giant piece of foam, a-la preschool mat style, it's oddly comforting to feel enveloped by these new textures and unconventional ideas. We pass them on the street (yes, literally the side of the road here) all the time. I can feel my heart racing and my foot panicking on the gas pedal as I silently pray the light up ahead will turn green before the wandering eyes in my car notice. There is absolutely no way I would allow a 'bean bag' chair in my home. We have pets, 3 of them, and one child hearted adult, plus 10 year-old. My pockets, and patience, is notdeep enough to tolerate those pesky PVC pellets and the tears that would follow it's retirement. So, when I discovered Xorbee, I knew I would soon be trading my villan's cap for one of a hero. Not only does the Xorbee range of foam furniture rely on a 2 piece system that features a washable cover, but the inner foam shell is impressively durable. Because this memory foam like filling molds to the pressure of it's users, there will never be any stiff or sinking points. These products return to their normal shape slowly after the lounger has emerged, and hold their structure quite well for multiple modes of lounging. The foam will also compress under extreme weight or pressure, meaning no bursting seams or nasty tears. We received our Xorbee Xquisite lounger just before Christmas and I was happy to promise it's release as soon as the (fake) tree had been dismantled and hauled to the garage. Once we again had our living room back I decided to toss our storage ottoman to the corner and give the giant, heavy, white Xorbee box a go. These loungers weigh upwards of 50lbs upon delivery and arrive vacuum sealed into a very swollen box. I highly recommend visiting the brand website to view an unpacking video prior to attempting this task at home. While the Xorbee does not expand as rapidly as I'd envisioned, you do have to be on your game to stuff it into the cover before it becomes unmanageable. Speaking of covers, Xorbee offers a multitude of colors in Twill, and easy to clean micro-suede materials. I love that the covers can be removed and washed, and even better, changed to match a decorating re-design. The company also produces a unique range of foam based furniture and mats for young children, in addition to their wildly popular Big Pillows. 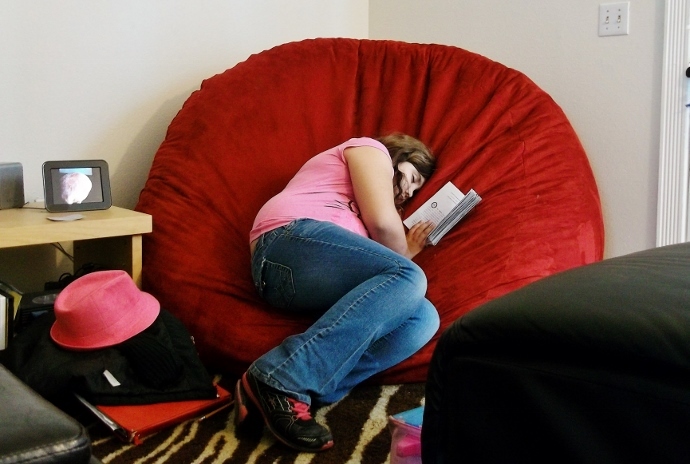 Think of these big pillows as personal Xorbee loungers, 3' x 4' at the smallest size. I recall seeing these sell out all last holiday season (as I'd had in mind to get one for the other half). In my opinion, having seen one of these pillows in person at a neighbor's house, this is the Xorbee gateway product. Once you invest in a pillow, you'll end up with a wall of them for the entire family. Before long you'll be contemplating one of the loungers for parties and guests (we can fit about 4 children on our lounger, happily playing the Wii at once). Beginning March 25-29, there will be a National Groupon deal for these unique Xorbee XL RelaXer Pillow (a retail value of $160), at just $69 with FREE Shipping. Stock up on these for holiday and birthday gifts now, you won't be disappointed. With it's big pop of bright and bold red, the Xorbee is without a doubt the first thing seen when guests enter our home, and the first piece of furniture they want to use. We have several friends with larger frames, which our couch does not accommodate, and this adds the added freedom of ample lounge space. As far as durability, I've yet to notice any tears or rips along the beautifully sewn seams, and am constantly impressed as to how easy the micro-suede material is to clean with a damp cloth and water. I would highly suggest the added investment of a micro suede cover; I've scrubbed everything from nail polish and paint, to food off of the cover and it is just as beautiful as the day it arrived! Save 15% on your next Xorbee order with code MOMMATOLDME! 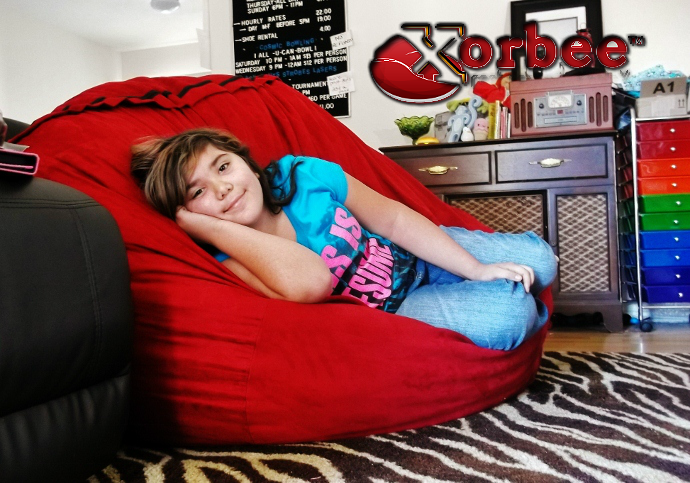 What Daughter Says: If you're looking to move your home into a new century of modern lounge furniture, look no further than Xorbee! One Momma Told Me reader will win an amazing Xpert Gamer with Twill Cover of choice! I'd love the Xtra Large RelaXer Pillow, it looks so comfortable! It would be wise to take advantage of the National Groupon deal for the pillow. I like the xpert gamer, xcaliber looks awesome too. I would love to have the Xcursion in my home. These are all very nice. thanks for the wonderful giveaway!! I would love to have the Giant Relaxer. These are really neat. Oh I would love love the Giant relaxer. I'd love to have the Xhilerate lounger! That would be awesome for extra seating when I need it! 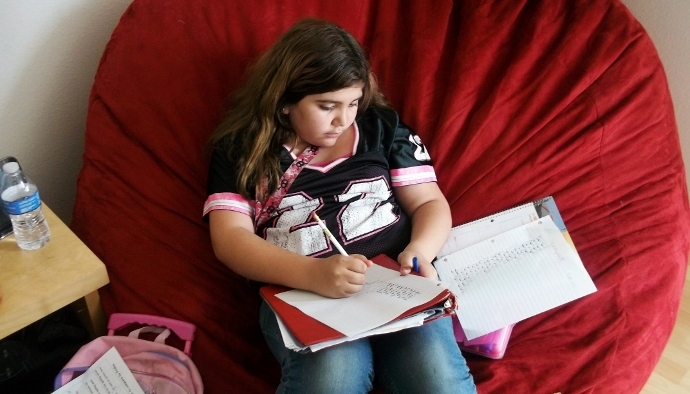 I would love 2 of the Xtend Ottomans for the kids. The Xpert Gamer would be great too. I would love to have the Xotic lounger. I like the Xpert Gamer with a Navy Blue Twill cover. I'd also like the Xorbee Jr. for my daughter. I'd love to have one of the giant relaxers! I'd like the Xhilerate lounger! I'd like one of the twill Giant RelaXers. Thanks. Oh, I've never seen these. My kids would love them! I'd love to put the Navy Blue Twill Xpert Gamer in each of their rooms. I'd like to have the Big RelaXer Pillow. The Xcaliber.......because how comfortable does that look!?!? I love the XTreem! That's definitely one of my favorites! 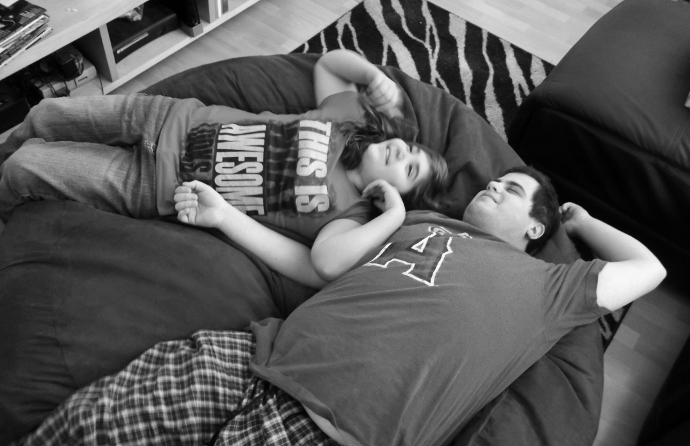 I love the Xotic lounger, my grandkids and I could cuddle up on that during movie night. I'd like the Xotic Lounger. I want the giant lounger!! haha this looks SOO comfy!! The Xotic Lounger would go so perfectly in my college apartment! My friends are always saying that I need a giant couch in my living room, but the Xotic Lounger would be even better! I really want one of the loungers. The Xotic is my fave. I sort of like the exotic! I would love to have the Xotic Lounger, and so would my dogs, unfortunately. I would love a lounger...I bet my dogs would too. I really want the extra large lounger! It looks like a great book nook corner addition! I would die a happy man with the Xorbee Xcursion in sandy beige! the Ottoman is fine baby! The Xtra Large RelaXer Pillow looks very cool and comfy! I love them all but my favorite is the XOTIC! How luxuriously indulgent, ahhhhhh! I also wanted to say that while the XOTIC is my favorite, winning the Xpert Gamer that is the prize in the giveaway would be SOOOOO exciting! My 17 yr old son Elijah has been dreaming of such a chair (he's definitely a gamer too as a matter of fact he has a collection of games systems and games from retro atari all the way to current popular ones.) He has several tvs in his room (we only bought 1, he found the other ones broken in road trash and fixed them!) so that him and his friends can play multiple games and systems together all at the same time. Thank you to you and the sponsor for this generous and exciting giveaway opportunity! I like the Xtend Ottoman. I would really like the Xotic lounger! I like the Giant Relaxer. The Xotic would be nice! The Xhilerate would be great for lounging while watching movies! I really want the Xcursion or xotic!! I like the Xotic lounger. the Xotic lounger looks amazing!!! I would love to have the Giant Relaxer. I like the Xorbee Jr. & Ottoman. I would love to have the Giant Relaxer! Xotic Lounger Looks extremly comfy! I'd love to have the Xotic - it looks perfect for our home. I would love to have the Xcursion! I would love to have the IQube Rainbow Set.